2014, the New Year, starts next Wednesday. A year…. the time it takes Earth to circle the sun. In these two weeks or so, two other planets will be lined up, stringing out almost in a straight line from the sun. Therefore, for those peoples who have considered this particular point in our orbit as the place to be to mark the next cycle, we might as well invite Jupiter and Venus to join us this year in celebration. 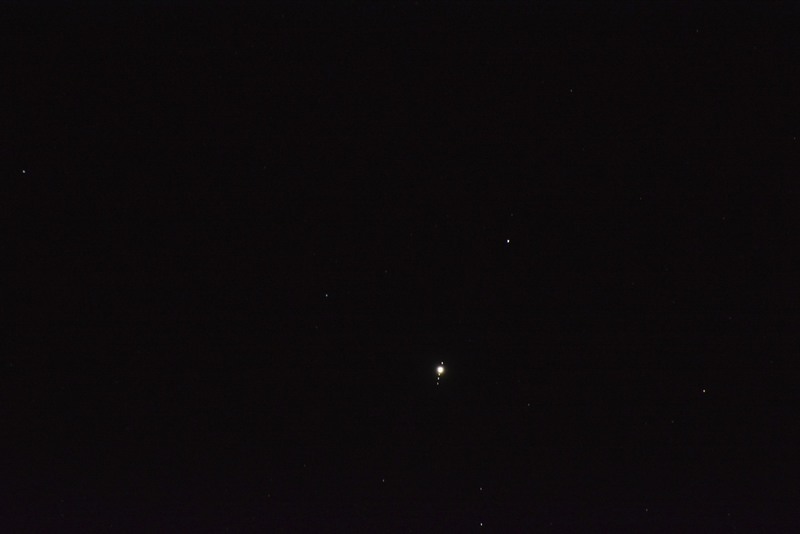 SO, HAPPY NEW YEAR, Earth, Jupiter and Venus. Venus will be “on the line” (between Earth and the Sun) on January 11th. 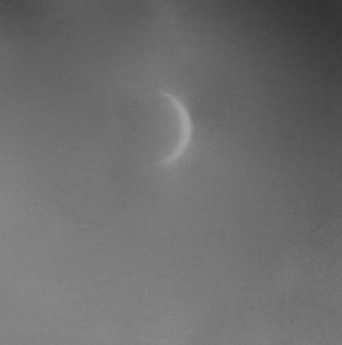 In a small telescope, it currently appears like the crescent phase above, and to the naked eye, it is very bright in the SW sky after sunset, but quickly (apparently) closing in on the sun. 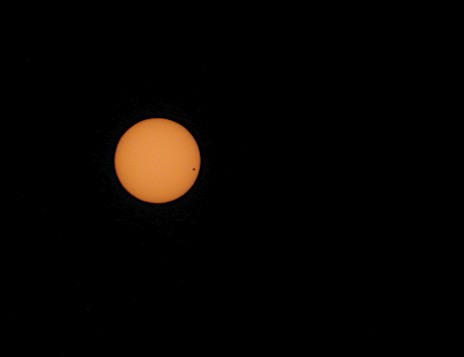 On rare years, it passes directly in front of the sun as shown at right – in 2004. Jupiter will be at “Opposition” (along that line) on January 5th. Since it’s “opposite “ the sun as seen from here (Earth!) look for it shinning brightly high above at midnight. 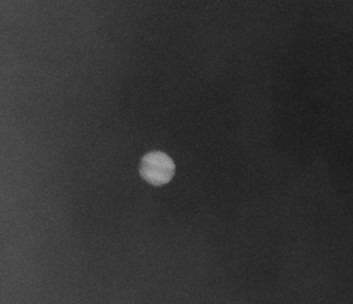 The B/W images above were taken by myself many years ago when amateur expectations were far less than today; and at right, Jupiter and 4 of its moons as captured recently, where expectations are far greater! I did not take the picture below – wish I had! But it is my favorite. 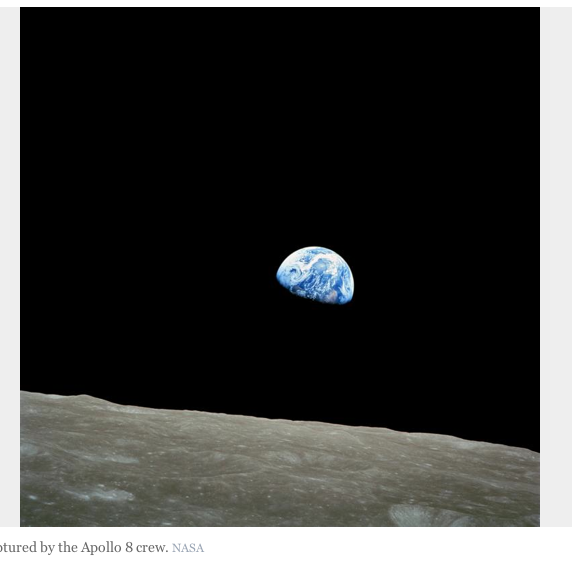 From Apollo 8, 45 yrs ago this past Christmas Eve. Happy New Year. Great photos here. Heavenly actually!!! Interesting post – A very Happy New Year to you 🙂 And good luck with your roadtrip planning! Thanks Jenny. Trying to catch up a bit here after the holidays. we’ve had to curtail a few plans for various reasons but hope to get on the road again – soon. Thanks, and looking forward to savoring your inspiring posts in 2014 year.